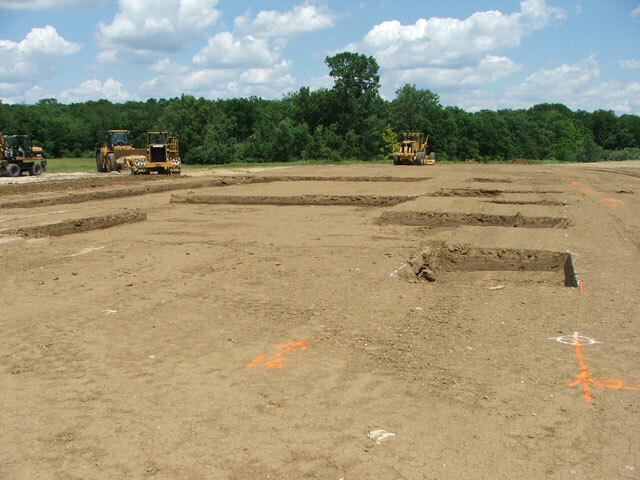 A field study comprised of experimental testing and statistical analyses was conducted to evaluate the Caterpillar machine drive power (MDP) and Geodynamik compaction meter value (CMV) compaction monitoring technologies applied to Caterpillar rollers. 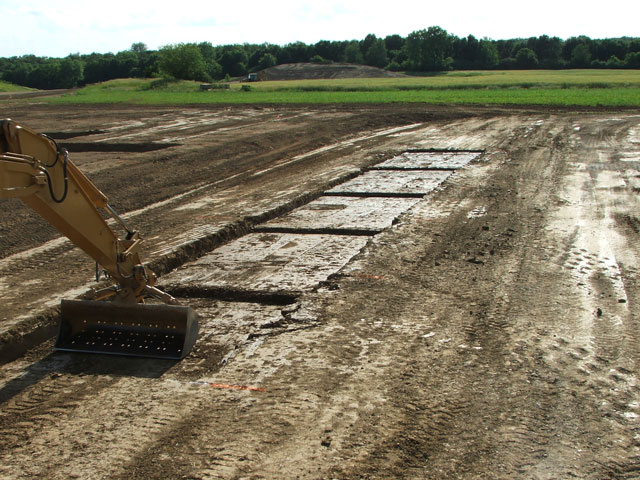 The study was comprised of three projects, all of which were conducted at the Caterpillar Edwards Demonstration facility near Peoria, IL. The first project investigated the feasibility of using MDP applied to a Caterpillar self-propelled non-vibratory 825G roller. A test strip was constructed, compacted using the prototype 825G roller, and tested with in situ test devices. The second project also consisted of experimental testing on one-dimensional test strips. 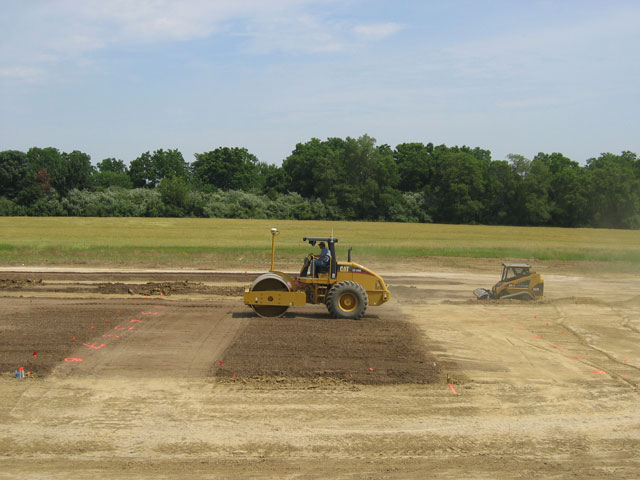 This project, however, used five cohesionless base materials, which were compacted using a CS-533E vibratory smooth drum roller with both MDP and CMV measurement capabilities. The independent roller measurements were compared and described in terms of soil engineering properties. The final project was conducted with only one cohesionless material. 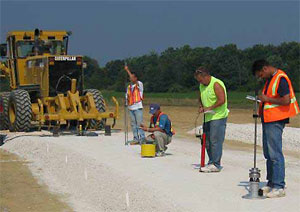 Four test strips (three uniform strips at different moisture contents and one with variable lift thickness) were constructed and tested to develop relationships between roller measurements and soil engineering properties. Using the material of the test strips, two-dimensional test areas with variable lift thickness and moisture content were then tested. 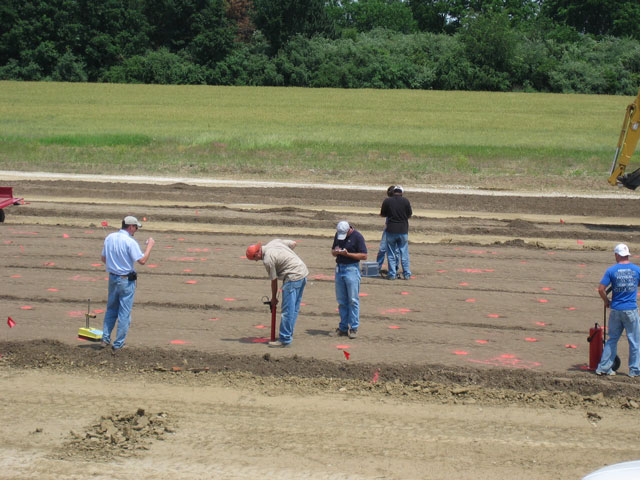 Spatial analyses of the in situ measurements were performed to identify the spatial distribution of soil properties. The interpretation of the ground condition was then compared to machine output for evaluating the roller measurement systems and the proposed roller calibration procedure.